After final legislation was passed in March of 2015, Oregon’s Clean Fuel Standard had some steps to take before starting up. Finalizing the program took some months, but on January 1st of this year participants were first allowed to register, and the clean fuel standard is now in full swing. The Washington State legislature has passed a transportation package that included the so-called Clean Fuel Standard “Poison Pill”. This action makes a clean fuel standard (CFS) for Washington effectively barred, by stating that implementing a CFS rulemaking would trigger funding for transit, biking, and walking infrastructure to be moved to the roads and highways fund. In Washington State, Governor Jay Inslee has proposed a Clean Fuel Standard, or CFS, in early February, to be developed by the Washington State Department of Ecology. On March 12th, Oregon Gov. Kate Brown signed legislation cementing the implementation of Oregon’s Clean Fuel Program (CFP), a clean fuel standard that will help reduce our dependence on foreign oil and expand homegrown production of cleaner, less polluting fuels. While the CFP has been in process for several years now, the legislation makes clear the path forward to implementation by getting rid of a sunset provision. 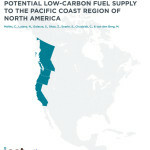 In September of 2013, the Ninth Circuit U.S. Court of Appeals overturned an earlier court decision from December 2011 that put the Low Carbon Fuel Standard, or LCFS, on hold. This decision was in recognition of on an underlying tenet of the LCFS: it puts the carbon intensity (or greenhouse gas emissions per unit of energy) front and center in considering how fuels are valued within the standard. This week Governor Kitzhaber announced that Oregon will proceed with writing “Phase 2” of the Clean Fuels Program. So far Oregon is simply monitoring the carbon profile of the fuels blended & sold in state. Phase 2 of the program will require the oil industry to begin reducing the total emissions profile of the state’s fuels. While specific targets will be determined by the Phase 2 rule, it might be about a 10 percent reduction over 10 years. As a regular 60 Minutes viewer, I was confounded by last Sunday’s piece, “The Cleantech Crash.” My organization is comprised of entrepreneurs, many of whom are doing quite well from the cleantech space, so we quickly sent this letter to 60 Minutes producers on their (unusually) poor journalism. 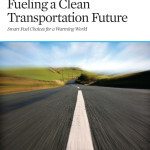 Last week California Energy Commission released a report it commissioned on California’s Advanced Transportation Industry, and the clusters of opportunity it provides. This blog is a continuation of last week’s update on the biofuel industry, as told by the biofuel companies themselves at the Advanced Biofuel Leadership Conference- Next in San Francisco and the Algae Biomass Summit in Orlando. Last week we discussed that many companies are choosing to partner with process specialists in lieu vertical integration, and how research labs, universities, and feedstock producers are supporting biofuels. It’s clear that this is an inter-dependent industry with a culture of learning from and supporting one another. 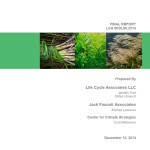 How is the LCFS leading to clean energy innovation and fuel diversification? 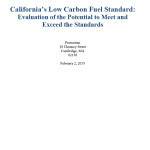 In California, our low carbon fuel standard recently received a significant boost. The Ninth Circuit Court of Appeals upheld the standard by rejecting that the fuel standard violates the Commerce Clause. Since then, the market certainty of the LCFS has increased, with oil companies securing both longer-term offtake agreements with low carbon fuel providers and the carbon-reduction properties of fuel products clearly translating to value in the marketplace. Last week the advanced biofuel producers from across the country – and even some international representatives – gathered in San Francisco for their twice-yearly industry get together. Hosted by Biofuels Digest, the event is a great way for advanced biofuel competitors to stay collegial, receive industry updates, learn from one another, and form important partnerships that will help the industry succeed. 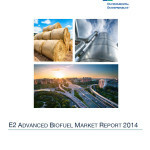 Today E2 releases its third annual advanced biofuel market report. The report shows a continual uptick in advanced biofuel production capacity from 2011-2013. 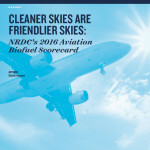 Company projections provide adequate fuel to meet the federal Renewable Fuel Standard and California’s Low Carbon Fuel Standard through 2016, the furthest year the report assesses. Please click here to view the draft agenda. This summer I traveled to Iowa to learn about biodiesel production from soybeans. The trip definitely challenged my predisposed notion that using soybeans for biodiesel production displaces food production. I was pretty humbled by how much I had to learn about farming practices, so I thought I would share some of that information here. President Obama’s Climate Action Plan shows that he understands how the advanced biofuel industry expands our economy and creates good jobs for American workers in both urban and rural areas. “Our scientists will design new fuels, and our farmers will grow them,” the president said. This Thursday a group of alternative fuel producers and investors will release a report showing just how ready they are to compete against petroleum. 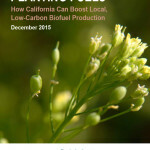 The report, completed by ICF International, shows that electricity, natural gas and advanced biofuels are aimed and ready to provide an abundance of alternative fuels to the California market by 2020. The report was commissioned by investors and producers of alternative fuels, including electricity, natural gas and advanced biofuels. Bloomberg’s report “Chevron defies California on carbon emissions” hit the nail on the head when it comes to campaigns against the Low Carbon Fuel Standard: short-term profits often come at the expense of smart policies that can expand our state’s economy and meet our long term energy needs. Many people like to talk about the “green jobs” stemming from renewable energy, but what exactly are these? This week E2 hosted a workshop at the Good Jobs Green Jobs conference, a national gathering of the labor community and environmental advocates exploring opportunities for partnership. E2’s workshop focused on the labor opportunities provided by advanced biofuels. Upcoming biofuels events: Washington, D.C.
Next week is packed with biofuel-related events at conferences in Washington, D.C. In a small and growing industry, these conferences are essential for high-tech businesses to learn from one another, form collaborations, and track the industry’s names and faces. In late 2012, I filled up my Volkswagen TDI on diesel that’s partially blended with Solazyme’s algae-based oil. The partnership between the two companies is further evidence that the advanced biofuel industry is scaling up to meet California’s low-carbon transportation needs. One prominent global company that’s entered into a partnership with Solazyme is Volkswagen. In two models, the Jetta and the Passat, Solazyme’s test drivers regularly rack up miles fueled by a 100-percent-algae-based renewable diesel. Did you know San Diego is the world’s mecca for businesses that are at the cutting-edge of commercial algae development? But before you dismiss this as an idea that is “20 years away,” let me begin by stating that these companies are already producing a host of algae products that are on the market today. Last week I attended the National Biodiesel Conference in Las Vegas. I didn’t lose any money at the slot machines, but I did lose a few of my own pre-conceived notions about where the biodiesel (and greater biofuel) market is today (read my recent blog on the basics of this biofuel here. Biofuel terminology can be confusing for many people. Some terms are used interchangeably, and some connote completely different fuel and feedstocks, so you are not alone if you’ve wondered what the differences are. Take biodiesel, a type of biofuel made from oils. Most people have seen – or smelled – a diesel vehicle that has been modified to run on used vegetable oil, commonly the stuff used to make French fries at fast food restaurants. But you can make biodiesel from a wide variety of sources. It’s interesting how often I must answer this question. I’ve never heard anyone wonder why replacements for non-renewable electricity might be a good idea, but I hear regular questions on the baseline value of replacing petroleum with other fuels. 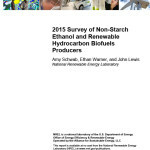 Many energy programs are poised to bolster assistance to advanced biofuels in 2013. That coupled with the near-completion (or completed) status of many commercial projects make the coming year look to be a crucial stepping stone in the plight of clean fuels. At the end of 2012, several companies announced completed construction of commercial or large demonstration facilities. Californians hitting the road this Memorial Day weekend will be able to go even farther on their gas money this year, thanks in part to implementation of key measures under California’s clean energy and climate law, AB32, including the Clean Car Standards, Low Carbon Fuel Standard, and Cap and Trade.